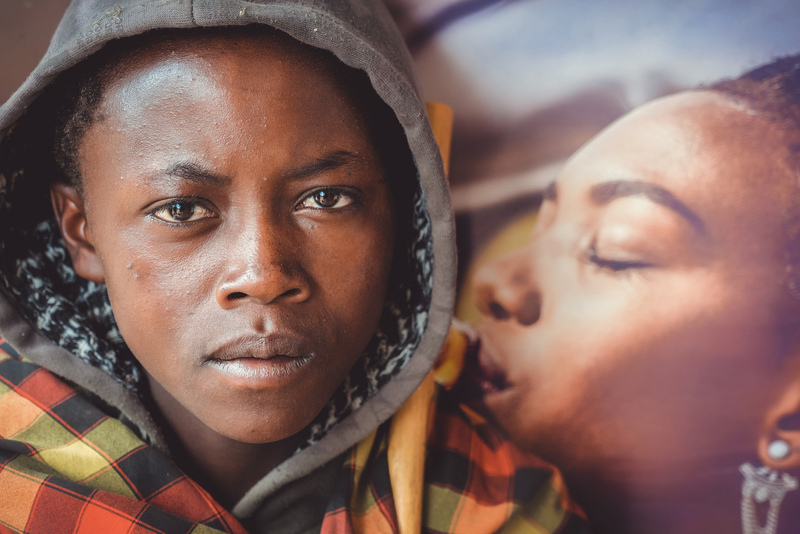 The Maasai teenager in front of a Coke advertisement. The Maasai people of East Africa live in southern Kenya and northern Tanzania along the Great Rift Valley on semi-arid and arid lands. A very beautiful portrait with many things in the eye !